One of our biggest passions is educating customers about the benefits of a fresh raw diet for dogs and cats. The benefits to this style of feeding are numerous, not to mention that it’s the most species-appropriate our carnivorous pets could eat. Though domesticated, they still share the same genes as their hunter ancestors. Dehydrated and freeze-dried foods bridge the gap between fresh raw food and kibble / canned food. These foods are processed much gentler than kibble and canned, thus naturally retaining more nutrition. Just add water for a healthy meal. Excellent for traveling raw feeders or to supplement kibble and canned food for a boost of nutrition. We carry a large selection of the best dry and canned foods around. 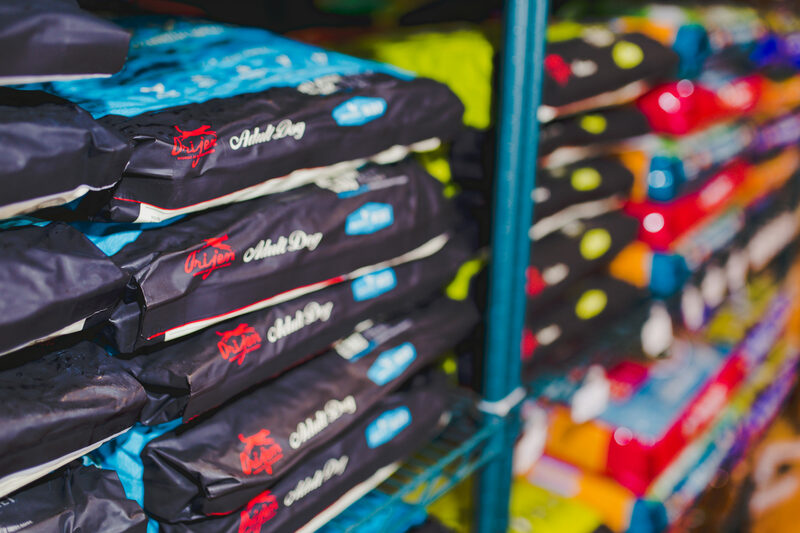 Navigating this part of the pet food world can be incredibly challenging, which is why we try and do the work for you. We look at the nutritional value, ingredient sourcing, and integrity of the brands that we choose to carry. This gives you healthier and simpler options than you might find on the shelves of the grocery store or big box chain. While the food we feed should lay the foundation for a healthy life, supplements can fill in the gaps where a little extra support is needed. You’ll find everything from probiotics, hip and joint support, fish oils, calming remedies, and more.